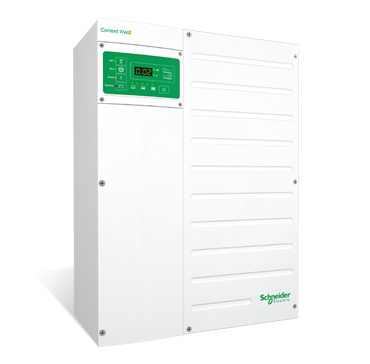 ConextTM XW+ is an adaptable single-phase and three-phase hybrid inverter with grid-tie functionality and dual AC power inputs. Available solar charge controllers, monitoring, and automated generator control modules enable further adaptability. From a single Conext XW+ unit to clusters up to 76.5 kW, the Conext XW+ is a scalable system that allows for the integration of solar capacity as required. 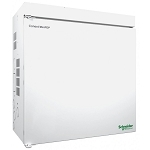 Adaptable and scalable, the Schneider Electric Conext XW+ system is the one solution for grid-interactive and off-grid, residential and commercial, solar and backup power applications. Please check our store for the Power Distribution Panel and other parts.